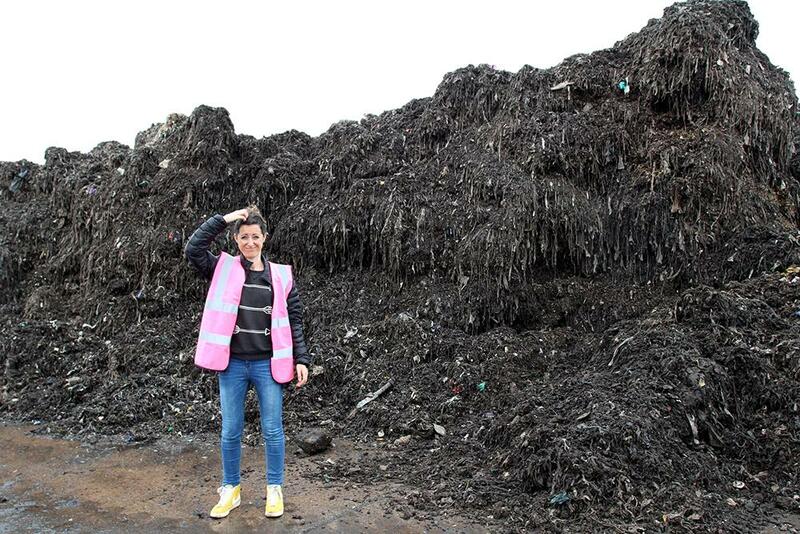 Over 4,500 wet wipes were found on one 154m sq patch of Thames foreshore. Plastic-pollution fighters City to Sea have launched a public awareness campaign to reduce the amount of wet wipes polluting UK rivers and seas. Following the success of their last campaign, Switch the Stick, in which they successfully called on all major UK retailers to switch cotton bud stems from plastic to paper (a move which will prevent over 320 tonnes of single-use, non recyclable plastic from being produced each year), City to Sea are now focusing their attention on other unflushable items, such as wet wipes. Plastic pollution and littering from flushed wipes is on the rise – last year nearly 50 wet wipes were found per kilometre of coastline, a rise of 400% over the last decade. And in April this year, over 4,500 wet wipes were found on one 154m sq patch of foreshore. [caption id="attachment_9922" align="aligncenter" width="1000"] Natalie Fee wants people to think before they flush[/caption] City to Sea founder, Natalie Fee says “Whilst there's some great work being done behind the scenes on cleaning up this mess, there's still a vast number of the population who aren't aware of the damage being done to our homes, rivers and seas as a result of flushing wet wipes. So we've come up with some fun ways to spread the 3Ps message – only pee, paper and poo goes down the loo! “Our first film has reached around half a million people in under a week – so there's definitely an appetite for education. People can't believe that some 'flushable' wipes contain plastic and don't biodegrade, which is why we're saying, don't believe the wipe!” UK water companies are spending over £88million on over 366,000 blockages each year, up to 80% of which are caused by wipes and other unflushable plastic items such as sanitary pads, tampon applicators, cotton buds and condoms. Once flushed, they clog up the sewers. This leads to sewer blockages and flooding to people’s homes, the local environment, rivers, waterways and seas and increased amounts of flushed plastic and waste ending up on our riverbanks, beaches and entering waterways and seas. All of which leads to higher water bills, expensive private drainage callouts, littering of the environment and even more microplastics ending up in our waterways and ultimately our food chain.